Take a morning or afternoon trip with me in Old Dubai to witness the city's unique flavor. 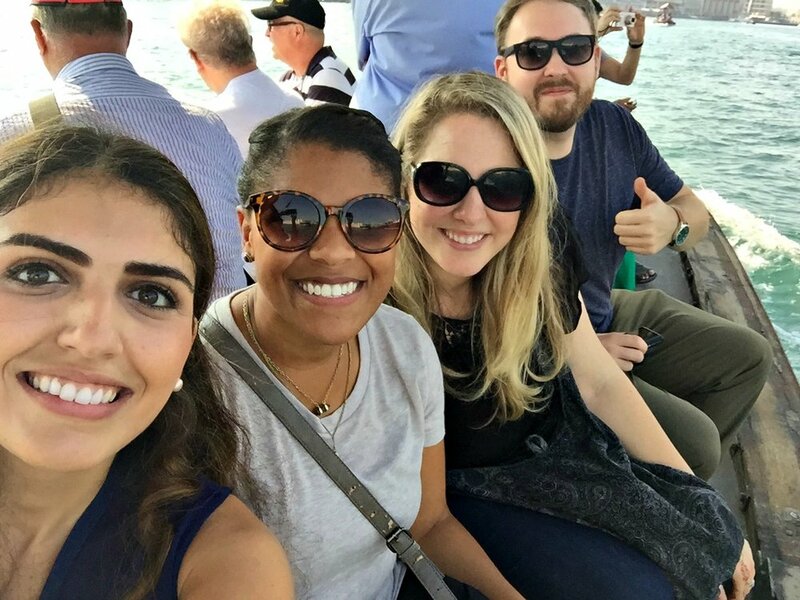 We'll wander the streets and markets, learn about Emirati culture and traditions, and have a delicious traditional meal together. Once you answer my wake-up calls, we’ll start the day by marching (not literally, just light walking involved) the streets of old Dubai stopping by a few enchanting sights and witnessing the city’s dynamic history woven by its people. My goal is to take you through a journey of tales to show you just how the small Arab village became a top destination city throughout the sands of time. We'll learn about the city's incredible leadership, people, and their traditions. We’ll pass by the souks where once upon a time, vendors were only known by their names so you would often find a buyer shouting out ‘ALI’ in search for his trusted vegetable vendor. There, you can practice your haggling skills and have the 'kteer ghalee' (very expensive) debate to score your best price. 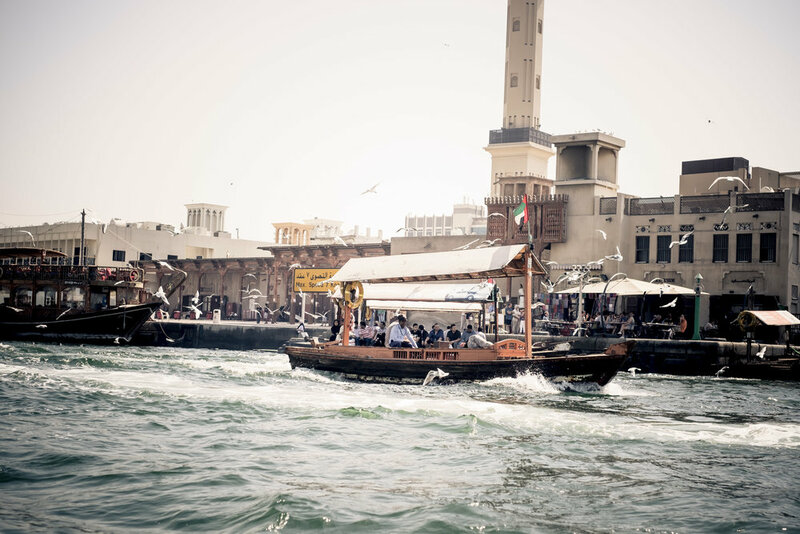 We'll also hop on a traditional wooden abra boat and cross over the magnificent Dubai Creek. Once we've wandered for a few hours, I guarantee your stomachs will be grumbling loud enough to guide us themselves to one of Dubai’s best eats where you can eat, drink tea, and be merry. Price: The price per person, 12 y/o and above, is 376 Dirhams. Children, between 7 and 11 y/o inclusive, are on the house (free of charge)! *As of October 2018, only morning tours are available. Afternoon bookings made previously will still be conducted so check both options for your dates using the book buttons below. When: Available on most days of the week, Fridays excluded (that's the holy day and some places are closed). Click on the book button to check availability. Where: The meeting point is the Al Ras Metro Station, Entrance #2 in Deira. The farewell point is near the Al Fahidi Metro Station in Bur Dubai. Transportation: This tour does not include transportation from/to the hotel. I will provide you with detailed steps on how to get there and out easily and inexpensively by metro or cab. 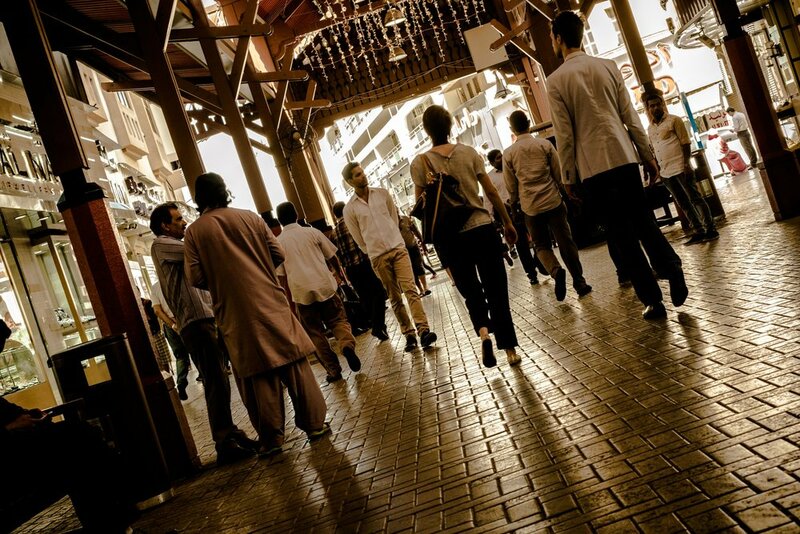 Tour: 4 hours of wandering in Dubai's old streets and markets. Includes admission fees to selected sights and a local meal + drink. Meals: The tour includes lunch or dinner (1 main dish, water, and tea) as the grand finale. Vegetarian options are minimal but are available. Anything additional will be covered at your own cost.